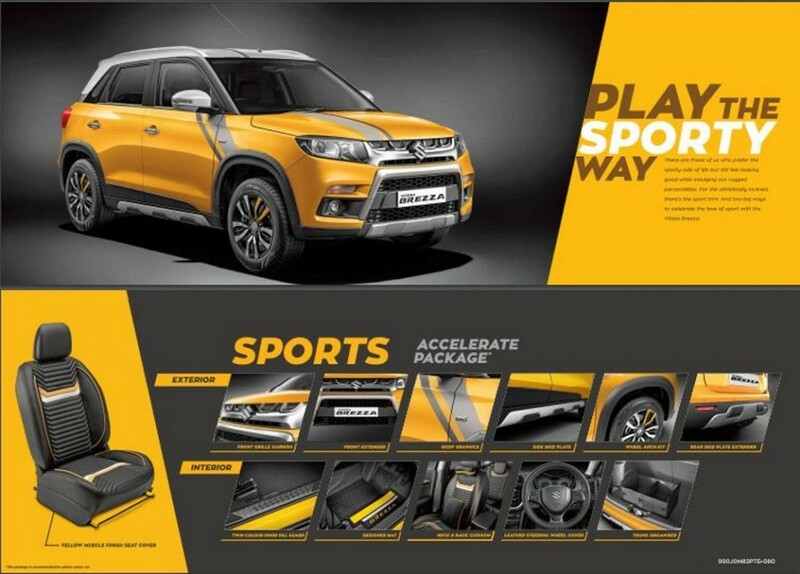 Vitara Brezza has always been a very stylish looking sub 4-metre SUV. Maruti has done more to the Brezza which makes it stand out from the crowd. Brezza’s close competition has been the Ford Ecosport and the Hyundai Creta and Maruti gave the Brezza an outstanding dual tone exterior which differed it from its competition. 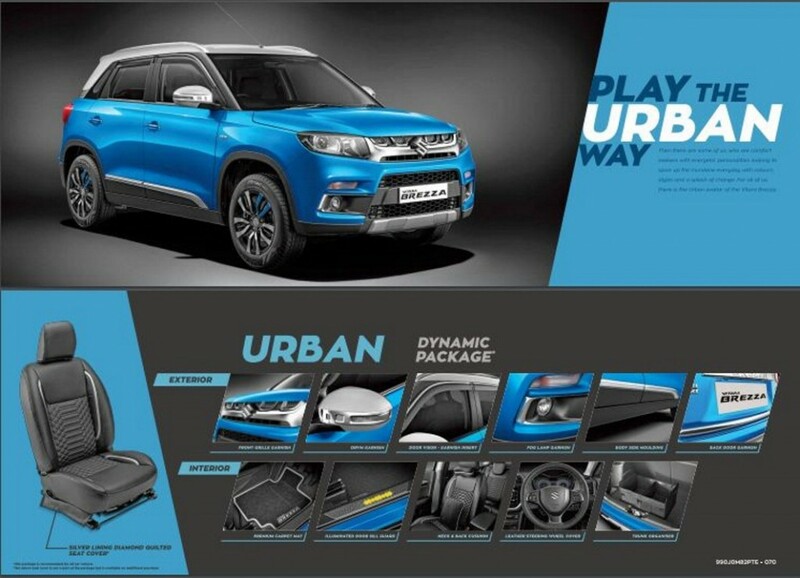 Maruti has come up with something called the iCreate which lets you customize your Brezza for your personal liking. iCreate comprises of a range of accessories that lets you buy as pre-set package accessories or pick individually. Individual accessories can be picked from the ‘A La Carte’ menu. Each of these pre-set packages include cosmetic additions like body graphics, chrome/non-chrome accents for the fog lamps, grille, alloy wheels and skid plates. Additions to the interiors include a combination of leather and art-leather seat covers, neck and lower-back supports, door sill guards and custom floor mats. The iCreate also lets you choose from the infotainment accessories on the Glamour Glitz. These include, amplifiers, woofers, sub-woofers and speakers and also multimedia infotainment screen for the rear seats. 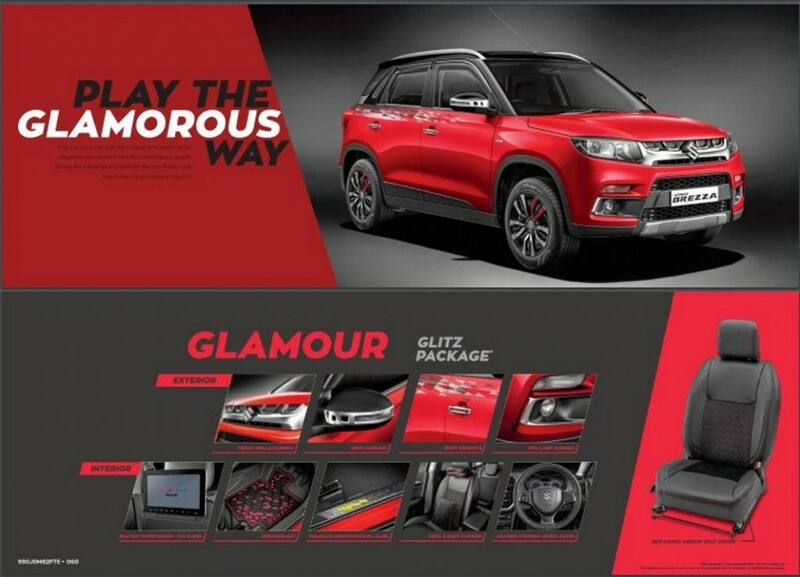 Maruti has come up with such a program to let individuals to have their own taste of the car and customize it according to their wish and will. Maruti believes this can improve the interactions between the customer and the company and help the customer walk away with a smile on his/her face.